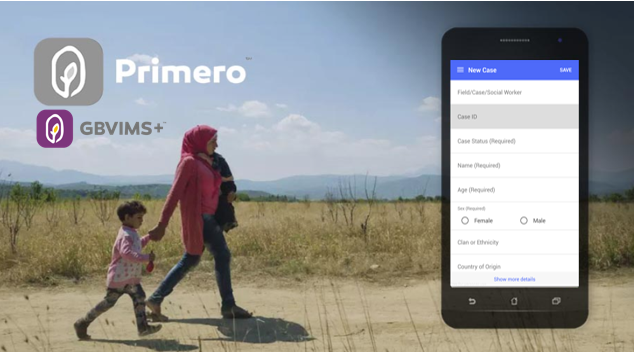 Primero/GBVIMS+ is an open source software platform that helps humanitarian and development workers manage gender-based violence data with tools that facilitate case management and incident monitoring. It is an enhancement of the current GBVIMS database (Incident recorder) with an added function for GBV Case management. What do you need to rollout Primero/GBVIMS+ in your context? · Stable internet connection in locations where data is entered into Primero. Availability of IT support at the inter-agency level. Support you in the preparatory phase of the rollout. Conduct in-country trainings and mentoring of end-users and system administrators. Act as global-level system administrators to maintain the platform and liaise with the software company for helpdesk support. Currently, the platform is supported in English, although forms can be translated in other languages. Further internationalization is planned in 2017. 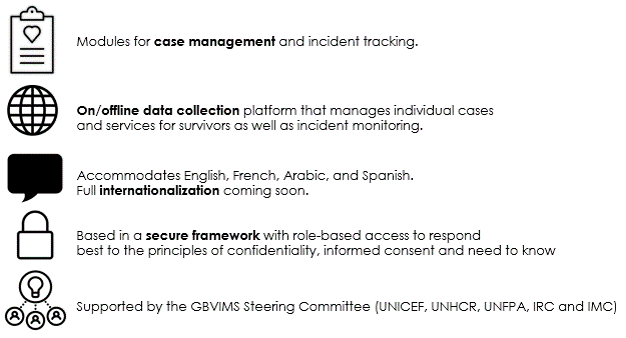 The GBVIMS Steering Committee can also provide technical support on GBV Case management in order to ensure that the rollout of Primero/GBVIMS+ as a Case Management tool is done in context where quality case management is provided to GBV survivors. If you have any questions regarding Primero/GBVIMS+, please contact Caroline Masboungi, GBVIMS Technical Specialist at cmasboungi@unicef.org. These considerations apply to Inter-Agency rollouts of Primero/GBVIMS+. Or adherence to Inter-Agency GBV Case Management Guidelines, 2017.